With Apple TV+ added to the list, have we hit subscription fatigue? The average person subscribes to three streaming services — and finds that number frustrating. Nearly half of consumers in the United States said they are frustrated by the number of subscriptions and services they need to have in order to watch the shows they want, according to Deloitte’s annual Digital Media Trends survey. However, the average consumer still subscribes to three video streaming services, according to the survey. And the complaints about subscription malaise are abundant on Twitter. I am already suffering from subscriptions fatigue... and then @Apple just announced more subscription packages. Apple News+ will cost $9.99 per month. The company hasn’t released details on pricing regarding its other new subscriptions. Signing up for a subscription is a familiar process. Most companies try to lure new subscribers with a free month, with the hope that people will like it, and if they don’t, will be too lazy or forget to go through the process of canceling. Companies love the subscription model, because it acts as an annuity, said Patrick Moorhead, principal analyst at Moor Insights & Strategy. However, first movers have the benefit, so companies now have to navigate a crowded market to entice new subscribers. It’s not just media that likes the subscription model. The subscription economy has increased 100 percent every year, over the past five years, according to a report from McKinsey, which surveyed Americans on their recurring e-commerce purchases, whether they’re from Birchbox or Dollar Shave Club. Last November, Rex Sorgatz, author of “The Encyclopedia of Misinformation,” asked people on Twitter how many media subscriptions they have. His own media bundle included 11 different subscriptions, including MoviePass, The New York Times, and Amazon Prime. Sorgatz told NBC News he’s ready for more subscriptions. The market is only going to continue to get more crowded. 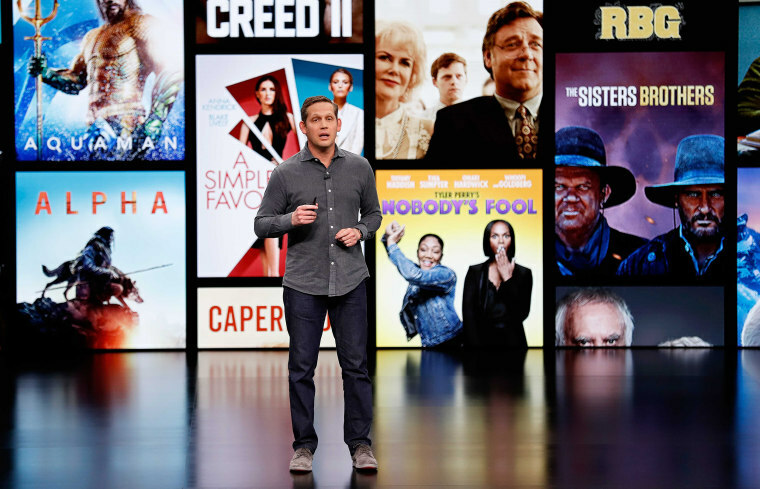 Next up, Disney is planning to launch a streaming service to rival Netflix, Hulu, and Amazon Prime. And in 2020, NBC will launch a free, ad-supported streaming service for cable subscribers. Anyone else who wants to subscribe can, for a monthly fee of about $12.